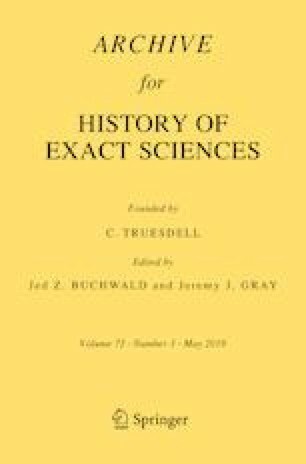 The paper shows that, contrary to what has been held since the sixteenth-century mathematician Christoph Clavius, there is no application of consequentia mirabilis (CM) in Greek mathematical works. This is shown by means of a detailed discussion of the logical structure of the proofs where CM is allegedly employed. The point is further enlarged to a critical assessment of the unsound methodology applied by many interpreters in seeking for specific logical rules at work in ancient mathematical texts. Clavius, Christoph. 1611. Commentaria in Euclidis Elementa Geometrica. In Opera Mathematica. Tomus Primus. Moguntiae. http://dx.doi.org/10.3931/e-rara-3802. Vitrac, Bernard. 2009. Les démonstrations par l’absurde dans les Éléments d’Euclide: inventaire, formulation, usages. hal-00496748, online at http://hal.archives-ouvertes.fr. Accessed 31 June 2018.